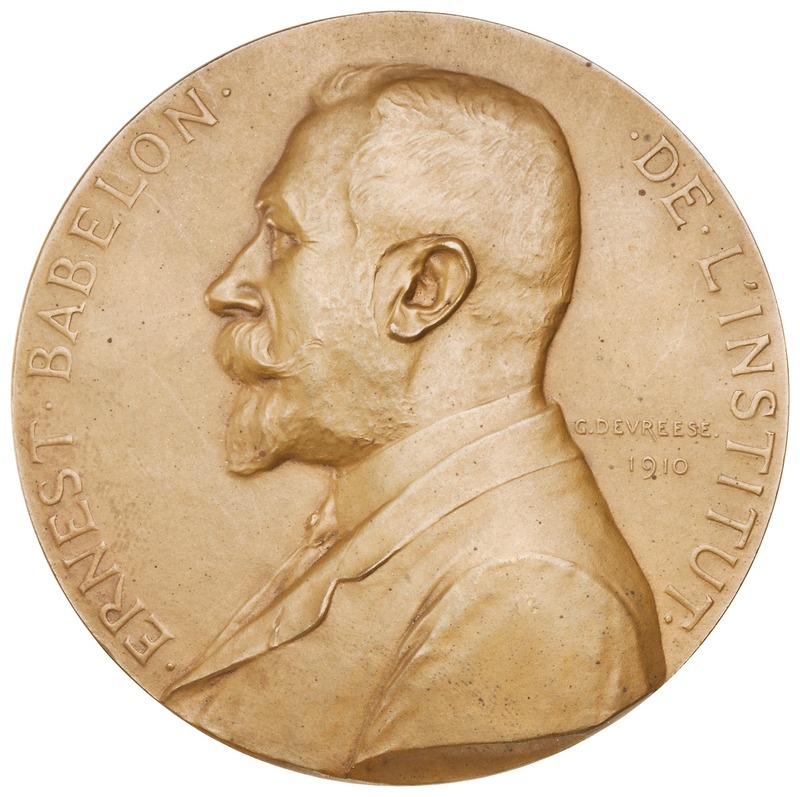 Obverse: .ERNEST.BABELON. .DE.L'INSTITUT. 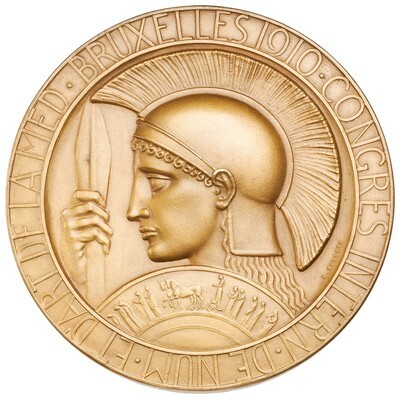 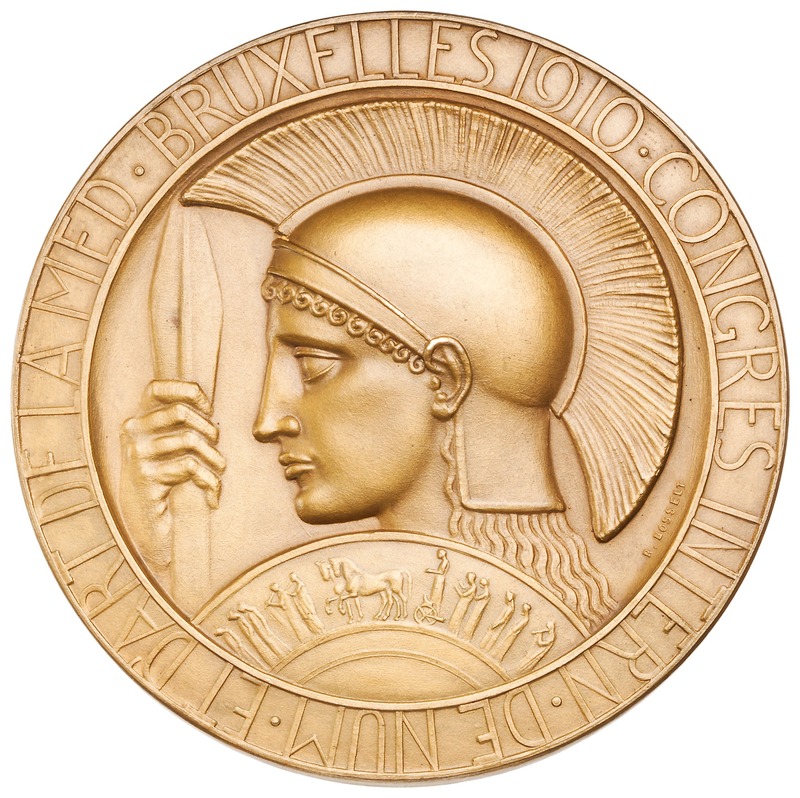 - bust, l.
Reverse: CONGRES INTERN.DE.NUM.ET D'ART DE LA MED.BRUXELLES 1910 - Minerva in helmet with shield, bust, l.
purchased from Royal Coin Co.